Art, design, culture, perfect drinks and coffe aroma too, that, as tribute to Naples, welcome guests of the Archivio Storico, the new meeting place born on Vomero hill. The cafeteria is on the first floor, where, besides, there are two armchairs and a coffee table, placed next the long stairs. Downstairs there is a particular and unique place. A three-meters height sliding painting, showing ”The Triumph of Don Carlo of Bourbon in the battle of Gaeta”, leads into an extraordinary caveau. The five main halls are dedicated to the five Bourbon Kings of the Two Sicilies Kingdom; in chronological order Carlo, Ferdinand I, Francis I, Ferdinand II, Francis II, up to the last pretender to the throne of the Two Sicilies Kingdom, the legitimate heir, The Royal Highness Prince Charles of Bourbon, Duke of Castro and Grand Master of all the Dynastic Orders. Management of the Archivio Storico is performed by Luca and Antonello Iannuzzi (entrepreneurs in the world of entertainment with Nabilah) and Serena Forlani (event planner). Serena delegate the coordination of research to Gennaro De Crescenzo and Salvatore Lanza, President and Secretary of the Neoborbonico General Movement, whom, with the collaboration of Giulia Martelli, Fabiana Liguori and Domenico Matania have given space not only to the sovereign :”There are paintings that represent the records of the glorious kingdom, the great southern prophets who were not at home and a whole series of ”points of view” useful to regain a sense of belonging to this motherland systematically erased from official history over the last 152 years” – says Salvatore Lanza -”Our great kings (ours because they speak Neapolitan language), mistreated by history, the flags of the of the Two Sicilies Kingdom, the Bourbon golden lilies or the national anthem of Paisiello are our cultural support”. With the Bourbon, Southern people has been, for the last time, loved, respected and feared throughout the world. It is more than ever necessary to explain to Italians and Neapolitans in particular, what are true causes of the ancient southern question began the day after unification in 1860 . A room inside the other which is a walk through”our”history. Bar room is inspired to the great creativity of French architect and designer Philippe Starck, where are a burst of paintings with thick and machined frames disorderly placed under the ceiling from which pending blacks chandeliers . Nothing has been left to chance, menu proposal, infact, is designed and structured by Alexander Frezza, award-winning bartender, recognized and appreciated internationally for his professionalism, his experience and his knowledge. -”The bar of the Archivio Storico is a classic bar, both the atmosphere and the offer” – says Alex – “We’ll start with the basics of mixing to give a point zero to the customer. We give particular attention to the typical Italian products that will be the main ingredients of our drinks; bitters, vermouth, Italian liqueurs and wines will be used in cocktails to emphasize our tradition”. The bar menu of the Archivio Storico is divided into two parts: ”The Classics” one, where are some of the cocktails has made the history of the world mixing. There are timeless cocktails combining simplicity and quality, prepared with a few minor ”Italian” variations, as the Daiquiri Strega flavored or the”Vecchio Stile”, which mix amaro Averna to the classic Old Fashion. The second part, ”Archivio Storico Italian Aperitif”, is more characteristic. It is designed around the ancient way of drinking, when the appetizer was a ritual of preparation for the meal and consumed with moderation. All the cocktails underline the Italian history, the products are genuine, all the juices are fresh squeezed and combinations are simple. Menu starts from the most classic “Mi.To.”, which combines the classic Milan Bitter to the Turin Vermouth, the ”aromantic” “Italian Tonic” that combines a classic Italian juniper-flavored spirit with tonic spices, and the ”8 e1 / 2”, an elegant combination of wild blackberry liqueur and prosecco . We introduce the concept of ”Sprezzatura italiana” in drinking. The term coined in 1528 by Baldassare Castiglione that underlines Italian’s capacity to be able to difficult things with the ease that makes them look simple and natural . The Kingdom of the Two Sicilies was a sovereign state in Southern Europe existed between 1816 and 1861. 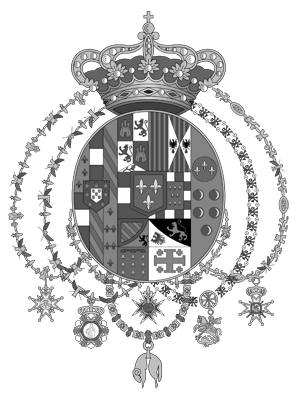 The kingdom was established by King Ferdinand of Bourbon, who, after the Congress of Vienna and the Treaty of Casalanza, suppressed the Kingdom of Naples and the Kingdom of Sicily and its Constitutions that kept them separate. After the establishment of the Kingdom, the capital was fixed at Palermo, but the following year, was moved to Naples, and Palermo, however, at least formally, continued to maintain the dignity of the capital, being considered, in fact, “capital city “of the island of Sicili.